I'm sure this is nothing new to a lot of you but I'm wanting to increase some of the little bag making tutorials I have on my blog so thought it was about time for a how-to. 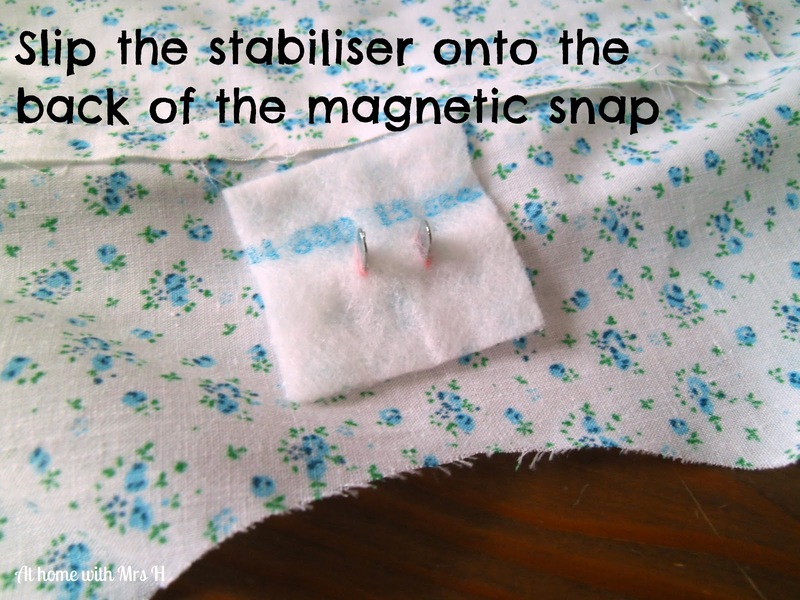 So...how to fit a magnetic snap. 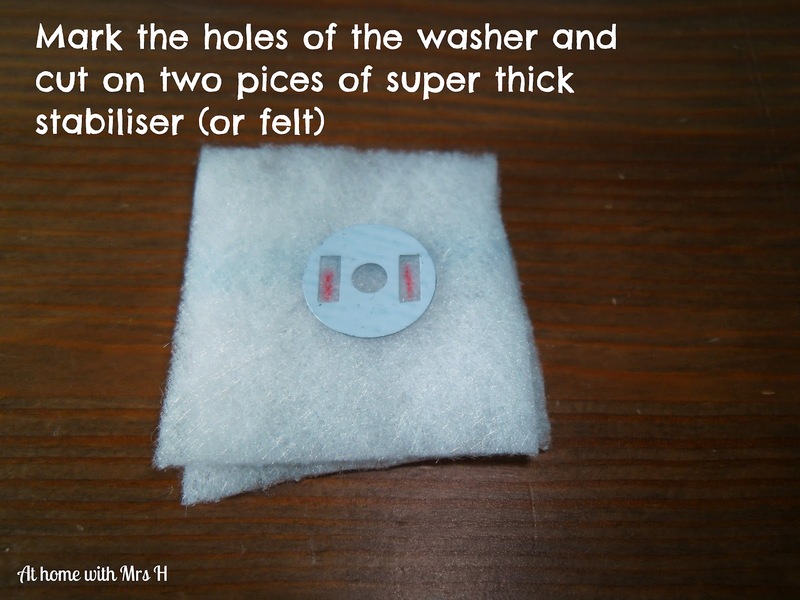 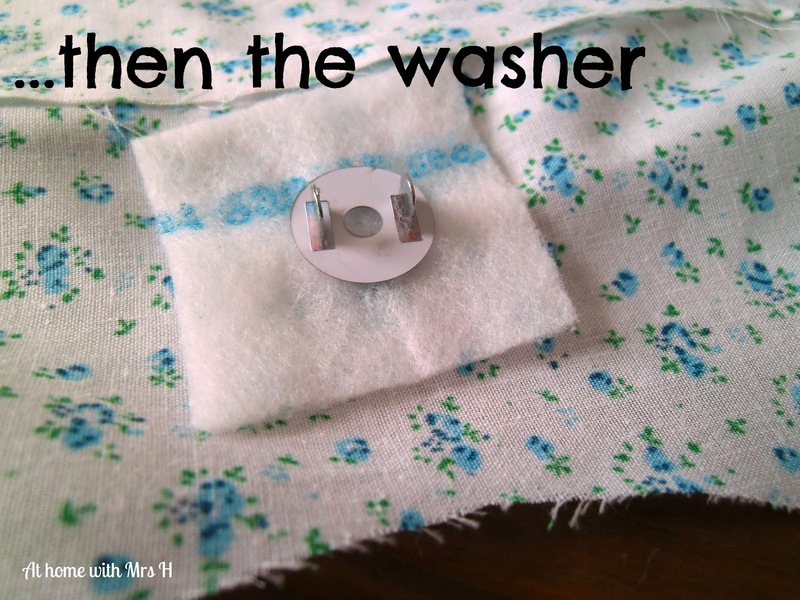 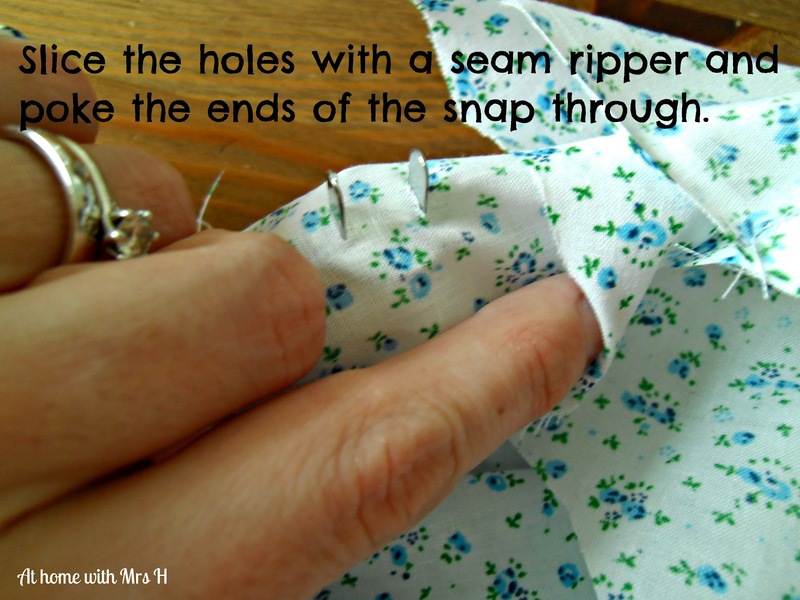 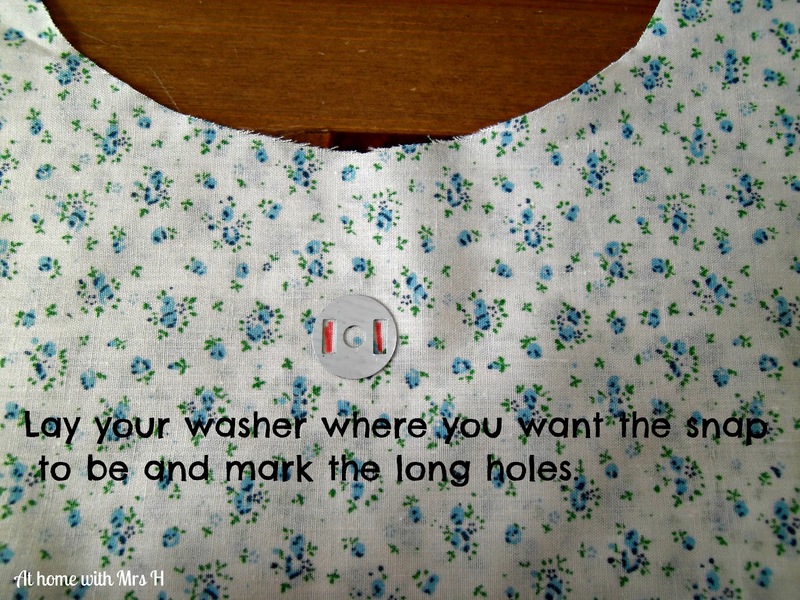 You will need your pieces of fabric you want to fit the snap to, your snap and washers (should come as standard with these) and two pieces of thick stabiliser such as fusible fleece or felt around 1.5" square. 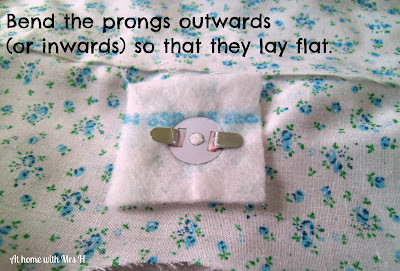 Step two: Cut your fabric and poke the prongs through to the wrong side of the fabric. 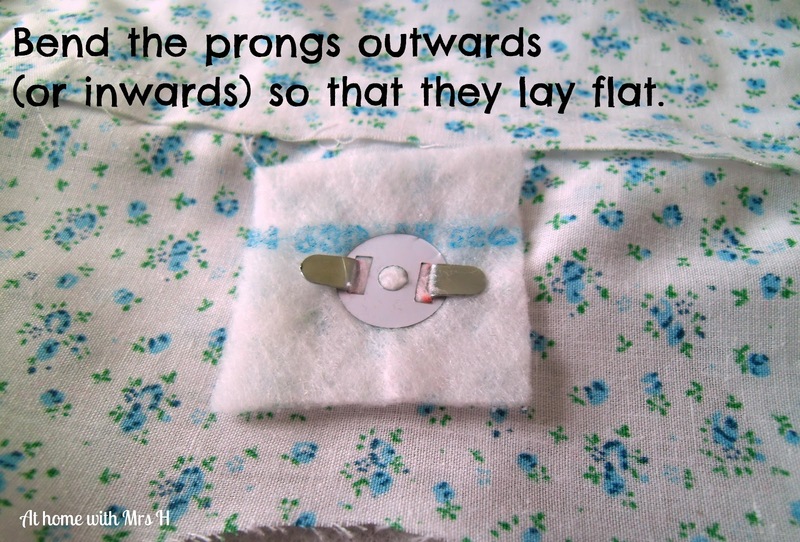 Step three: Cut the other bits of fabric you forgot to earlier. Step four: Layer up the wrong side.